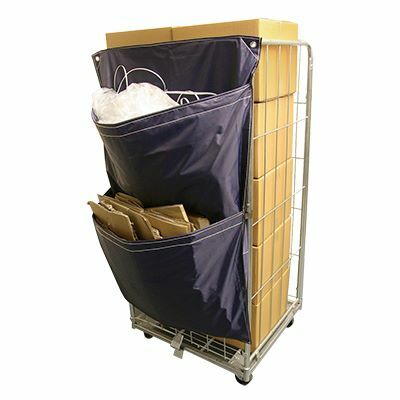 Fit these roll cage sacks to keep your workplace neat and tidy as you go! 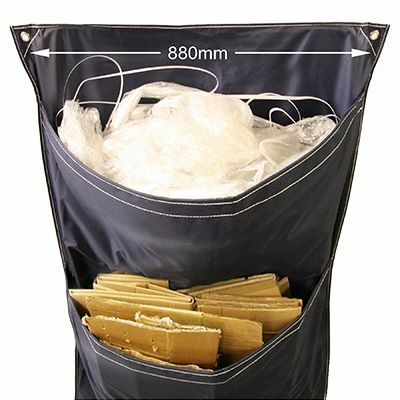 Perfect for use on 800mm wide roll containers, these roll cage recycling sacks will enable you and your workforce to keep your work place tidy and segregate your waste as you go. 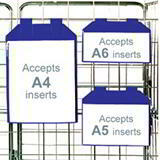 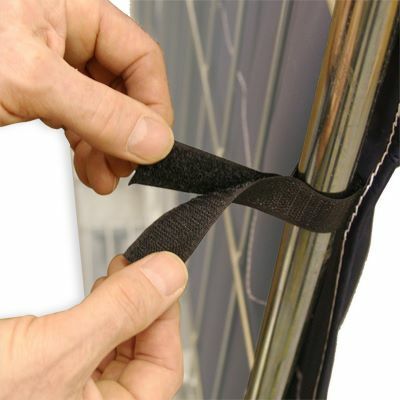 Simply fit by hooking the top corners over the edges of your cage or container and away you go! 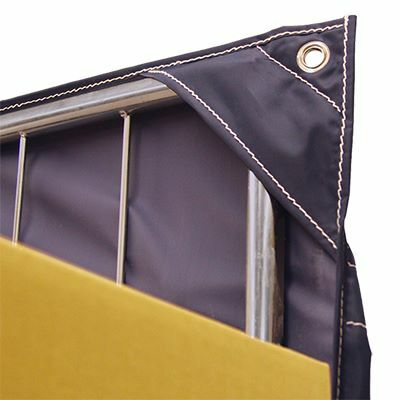 The double pocket design enables you to collect up to 200 litres of waste at any one time. 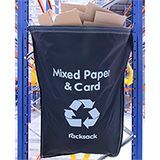 Just like our trolley recycling sacks and popular racksack recycling bags, they are made from waterproof polyester and capable of withstanding the everyday rigours of most warehouse and industrial environments. 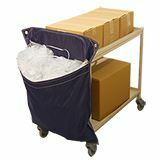 Segregate your waste on the go with these tough and hard-wearing roll cage recycling sacks – there really is no excuse not to have a clean, efficient and tidy working environment.